CG PET 2019 Admit Card will be released from 26th April 2019. Chhattisgarh Pre-Engineering Test is a state level entrance exam which is conducted every year. It is a gateway for the candidates to get admission in engineering and its specialization such as Dairy Technology and Agriculture Engineering. CG PET admit card is provided by the Chhattisgarh Professional Examination Board (CPEB). It is also known as CG Vyapam. Every year number of candidates appeared in this examination. In this article candidates can check the complete information about CG PET 2019 Admit Card. 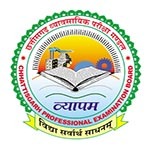 CG PET 2019 Admit Card is releasing on 26th April 2019. Link will be given here. Candidates those applied for CG PET 2019 exam, can get their admit card through online mode on the website. Candidates have to enter their registration ID to download the admit card. Candidates have to bring one photo ID proof along with valid admit card in the examination hall. The ID without photo will be treated as invalid photo ID proof. No candidate will be allowed to enter in the examination center in such cases. Candidates have to preserve admit card till the process of counselling is not over. The exam will be conducted in two sessions, one in the forenoon and another in afternoon. 10th class mark sheet along with one photo. Admit card of 10th or 12th class with photograph. CG PET 2019 Answer Key will be released in the first week of June 2019. After the written examination, the authority will release the model answer key first and then final answer key. The admit card will be available before one week of the examination, i.e. in 26th April 2019. The CG PET written examination will be conducted on 2nd May 2019. Candidates must preserve their registration number or ID to download CG PET Admit Card Date 2019. After successful conduction of the exam, the final result along with final answer key will be published in the first week of June 2019. The counselling will be conducted for allotting seats from the second week of June 2019. Open the link and the options will appear for downloading the admit card. You can download it by entering registration ID or number. Download it and take the printouts of it for future reference. Exam Time and Duration of Exam. Candidates have to be present before one hour of exam in the examination center. After verification of candidate through their photo ID proof, they will be allowed to enter in the examination hall. If the photograph is not printed on the admit card, then candidates have to carry two colour passport size photograph in the examination centre. After the commencement of test, no candidate will be allowed to enter in the hall. Candidates must familiarize themselves with the exam centre before few days. If you have any query related to CG PET Admit Card 2019, you can ask us anytime by leaving your queries in the given below comment box. If there is any mistakes in my parents name then I can give exam or not? Sir, admit card has been shown released on the site but couldnt able to download it. Please provide help how to download it. Try again and again, there might be a server problem. Admit card is uploaded now. Sir mera admit card unavailabke bta rha hai uska reason kya ho skta hai. Admit card aaya h ki nahi ..net me plz answered …..
Two days gone but link is not available for admit card. from where i can download my admit card ? We will provide the link after activation of it. please give me the link to download admit card..
24 april ko admit card mil sakta h kya …i didn’t check the dates of admit card….. Please release the admit card soon dont give wrong dates…. That was expected date. Till now it is not released by the official authority. R/sir please sent me my admit card cgpet 2018 .my application id is PEP181005148953. plz,help me for download of admit card. PET form has been released you can check. admit card had not yet released. Admit card is not issued yet.